If you're looking for fun ways to play Deal or No Deal online, you've come to the right place. This slideshow provides five of the best online game sites to play the very popular Deal or No Deal game online. At Mofunzone.com, you'll find one of the higher quality online versions of this game. Just like the show, first you pick your own briefcase. When you do, it shows up in the lower left corner of the game screen. At each stage of the game at MoFunZone, you choose a specific numbered briefcase. As you do, the animation zooms in and slowly opens the briefcase, revealing the dollar amount inside. Each time you open a briefcase, that amount gets removed from the game board. The goal is to open briefcases with the smallest amounts so that you're left with the largest prizes on the game board. Every so often, the banker will tempt you to give up with an instant cash prize. NBC, the official producer of the TV version of Deal or No Deal, also offers the best online version of the game at NBC.com. Overall, the graphics and animation are much better here. Just like the other versions, you select your own briefcase first, and then you start taking your chances with individual briefcases, hoping that you don't open up the wrong ones with the largest prizes! Every so often, you'll receive a banker offer, just like the one shown here. To make matters even worse, the banker not only offers you a dollar prize as a temptation to quit, but also warns you how many more briefcases you'll have to open before you get another offer. Each offer goes up (or down) depending on the cash prizes hidden within the briefcases you open. Beware - if you don't take a high offer and you continue, only to open briefcases with high dollar values, your next banker offer will be significantly less. 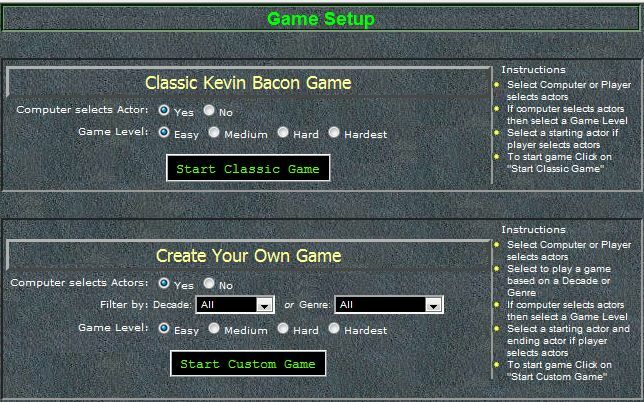 The folks over at GameGecko.com created an alternate version of Deal or No Deal called, "Banker's Deal." This game is identical to Deal or No Deal in how it is played and the rules of the game. Your own briefcase is displayed in the lower right hand corner of the screen, and when you select each individual briefcase, the animation zooms in and shows you the prize amount located inside the briefcase, just like the NBC version of the online game. After you're done opening a set number of briefcases, the Banker's offer comes to you in the form of a cool cellphone animation that presents the dollar prize you could win if you accept the offer. Just click either the "Deal" or the "No Deal" button to make your choice. If you choose "No Deal", then you'll continue on to the next round where you can take your chances and hopefully choose the briefcases with the lowest prizes in them! You can find an interesting cartoon version of the Deal or No Deal online game at freegaming.de. In this animated version, you can see the host as a cartoon character. Unlike most of the other online versions of Deal or No Deal, there's a button to share this game on Facebook. Unlike other online versions of the game, the cartoon version at freegaming.de also displays a cartoon version of the contestant (you) at different points in the game. This makes it interactive and fun, as the game screen isn't quite as static as the other online versions. At nothingtodo.co.uk, you'll find a fun UK version of Deal or No Deal. The TV show was a major hit in the UK, so it's no surprise that there's also now an online version available for UK residents. This version is almost identical to the American version, except this online game provides the prize amounts in the center of the screen and the boxes on the sides. The UK version of Deal or No Deal is based on boxes rather than briefcases, and when you select one, the online game displays an animation of the box opening - revealing the prize amount. Open the prizes with the lowest "pounds" and you'll do well! If you enjoy playing online games, don't forget to check out the following LoveToKnow Online resources.